Fits Mossberg, Remington, Winchester, Savage and TriStar 12 gauge shotguns. 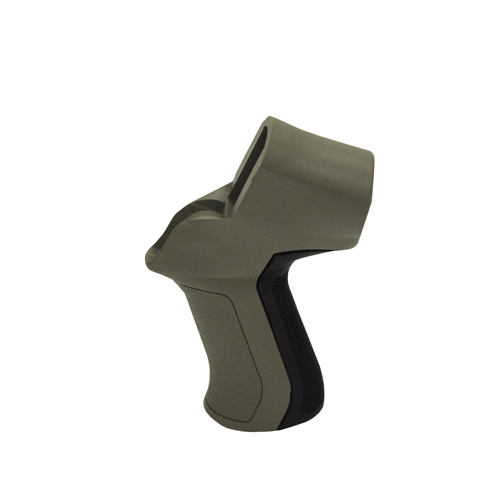 Recoil pistol grip with non-slip texture. Minimizes muzzle lift. QD attachment point at the rear of the grip. universal mount system. Securely fasten to your tactical stock with no specialized tools. Mounts and hardware included. Made from DuPont Extreme Reinforced polymer.